The Harper government has fired back at Canada’s Big Three wireless providers for their PR campaign aimed at forcing Ottawa to reverse its wireless policies. Industry Minister James Moore described incumbent efforts as a “dishonest attempt” to misrepresent public debate through “misleading campaigns,” reports the Globe and Mail. 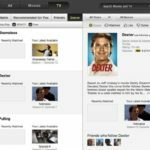 Moore today published a response to Bell Canada board member Anthony Fell, who criticized and questioned the minister’s ability and knowledge when it comes to implementing telecommunications policy in such a short time, calling it “unseemly” the former could become an expert in such a short time. In his letter, Mr. Fell says our policies are merely “a political populist initiative to capitalize on a mis-informed public view” of Canada’s telecommunications industry. I can assure Mr. Fell that our policies were quite deliberate, based on a great deal of consultation with all players – including Canada’s wireless companies – and will serve Canadians well. Unlike Mr. Fell, I do not believe the public is misinformed. I think Canadians know very well what is at stake and they know dishonest attempts to skew debates via misleading campaigns when they see them. Equally, Canadian consumers know instinctively that more competition will serve their families well through better service and lower prices. Wireless incumbents recently launched a website titled “Fair for Canada” calling for change in Ottawa’s wireless policies as they will ultimately put Canadian jobs on the line. Full page ads, such as the one below, have hit newspapers along with various spots on local radio stations as well to garner public support. 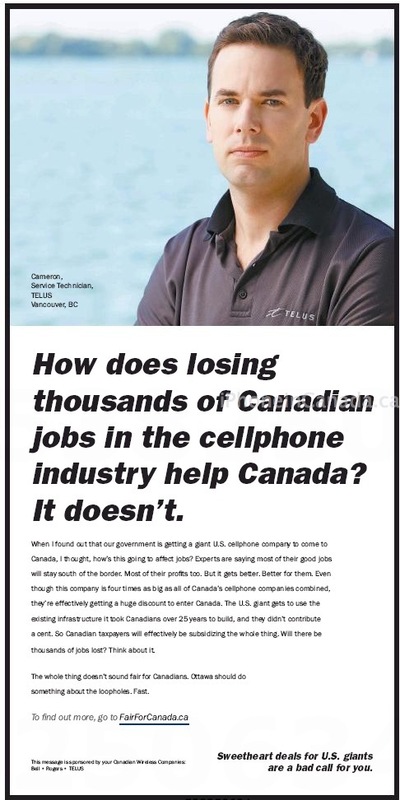 Despite these ads, many have questioned how Rogers, TELUS and Bell can preach the potential loss of Canadian jobs when they themselves have outsourced local positions overseas. TELUS has a call centre in Manila, Philippines which employs 3,000 people; Rogers has outsourced IT services to IBM; Bell has outsourced jobs to India. Earlier today the Consumers’ Association of Canada publicly commended the Harper government for its work in trying to bring in Verizon to ease the wireless market into a more level playing field.